Should I Put It Down? The utopian imagination repeatedly uses the motif of an island that is someplace else, in another time. This work uses the island symbol albeit instead of separating it from the immediate reality, it places the island into the here and now, by reflecting its immediate surrounding. 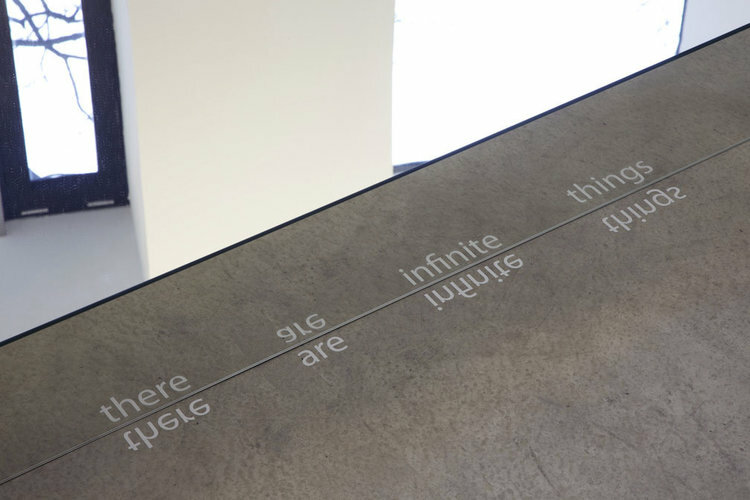 The text reflected in the mirror reads: within a finite island, there are infinite things.